A premium maple wood pen with shiny chrome accents. 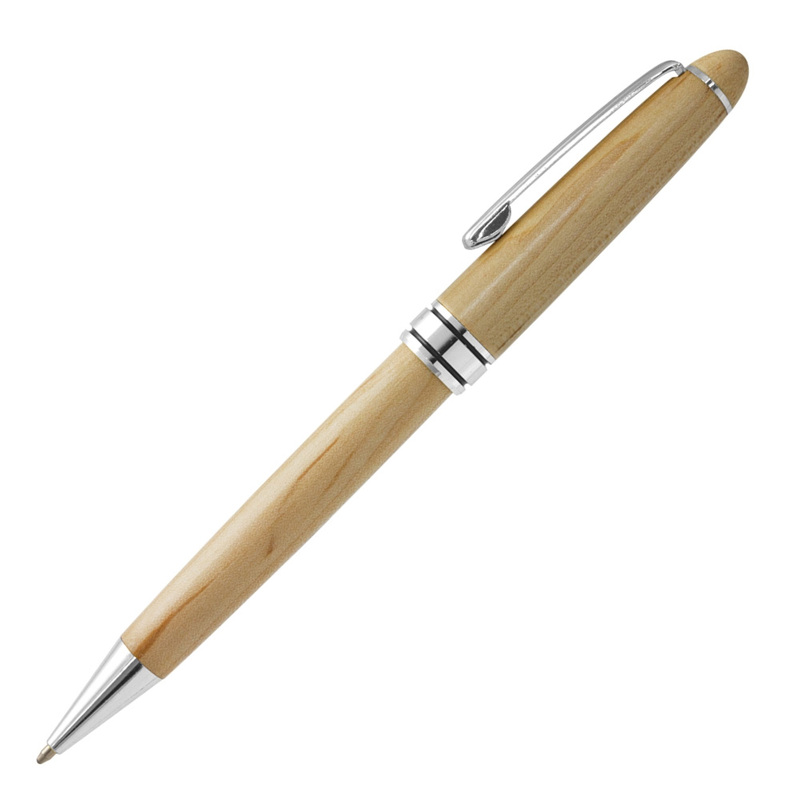 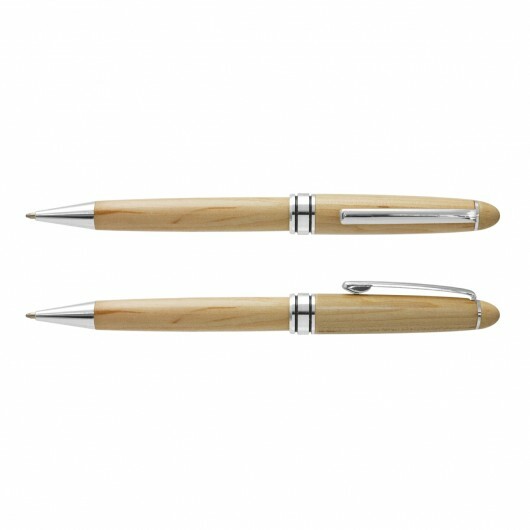 These twist action maple wood ball pens make for an exceptional gift. 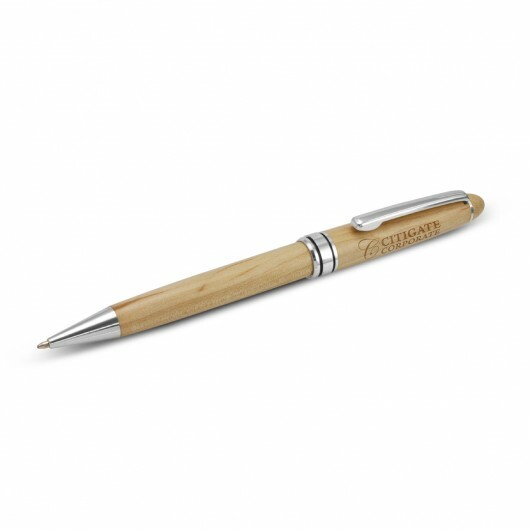 They have a black Cross style refill with 800m of writing ink and a tungsten carbide ball for improved writing quality and feature shiny chrome accents that compliment the look. 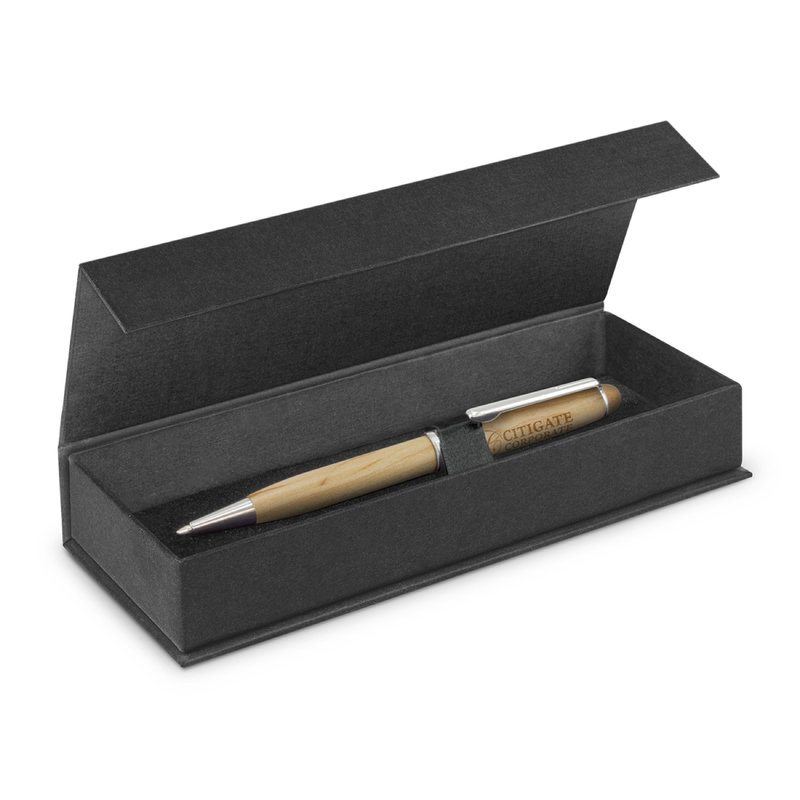 The upper and lower barrel laser engrave to a natural etch. Wood is a natural material which produces unavoidable variances in the grain pattern, colour and branding.